I spent three days the weekend before last at the Western Australia V8 Supercars event at Barbagallo Raceway, Wanneroo. 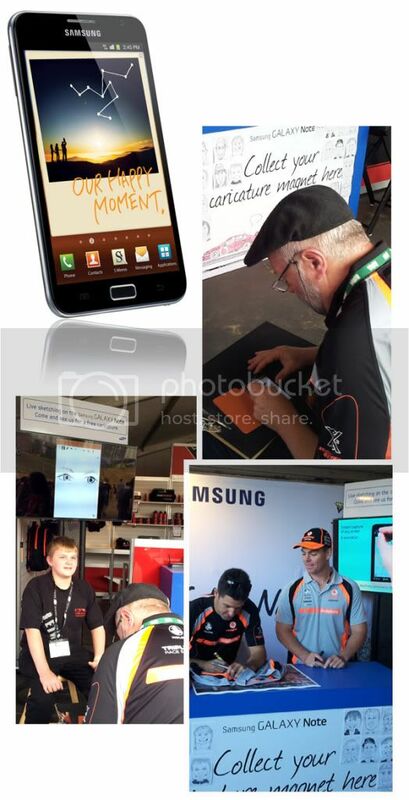 I worked for Samsung in the Vodafone Holden team marquee demonstrating the sketching abilities of the new Samsung Galaxy Note phone/pad. 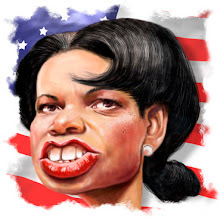 Using the standard installed 'Memo S' software I drew 'free' caricatures for all who wanted them. It was non stop. The supplied stylus/pen has 128 levels of sensitivity but a combination of the size, and probably my eyesight, didn't make it too easy. The object of the exercise was showing off it's capabilities rather than promoting it as a mini Cintiq - all in all, certainly an experience. Handy bit of gear though, beautiful HD screen. ...... and NO I'm still a 100% Apple man !!! Wow, these new devices are getting pressure sensitivity sounds like fun! Thanks for the update! We'll get you away from your mac soon enough!